When Cheri Scherry retired from the business world in 2015 at the age 65, she made it her goal to help her hometown Decatur be a better place for her children and grandchildren. 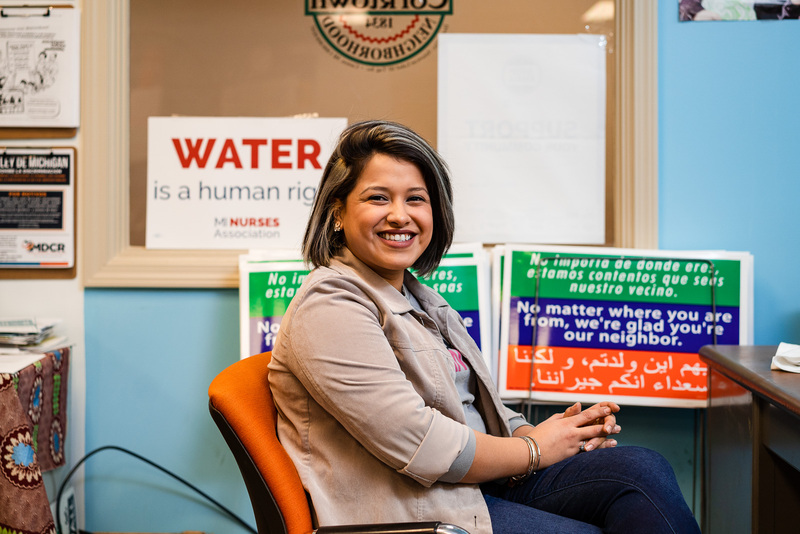 “I was taught by my parents at an early age to volunteer and get involved,” she says. So get involved she did. Working with her longtime friend, Suzy Fuelling, Scherry helped raise more than $5,000 for Decatur’s Storybook Park. After that, she and Fuelling rallied a team of five senior citizen ladies who raised $120,000 to restore the old Pennsy Depot in Decatur—exceeding their $80,000 goal and earning them the nickname the “The Pennsy Girls” in the local newspaper. But they didn’t stop there. 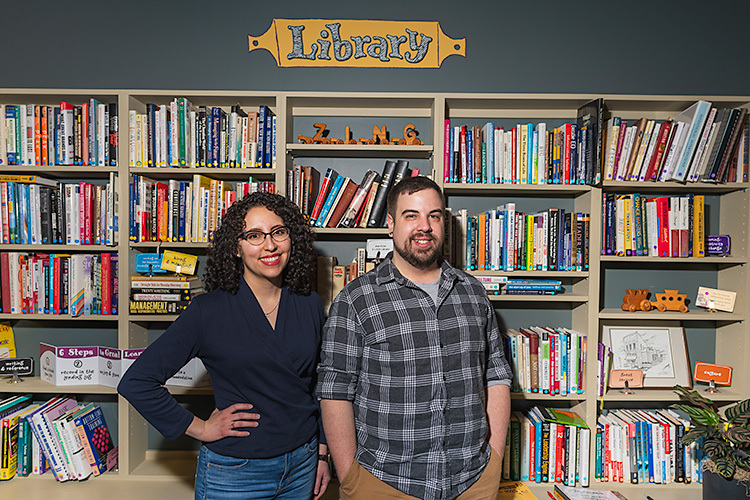 Since then, Scherry, Fuelling, and other volunteers are helping to attract, connect, and retain artistic talent in Decatur’s burgeoning creative community, bolstered by its renowned annual Sculpture Tour. The Decatur Sculpture Tour has been an annual tradition since 2012, bringing original sculptures from around the country to the streets and storefronts of Decatur. 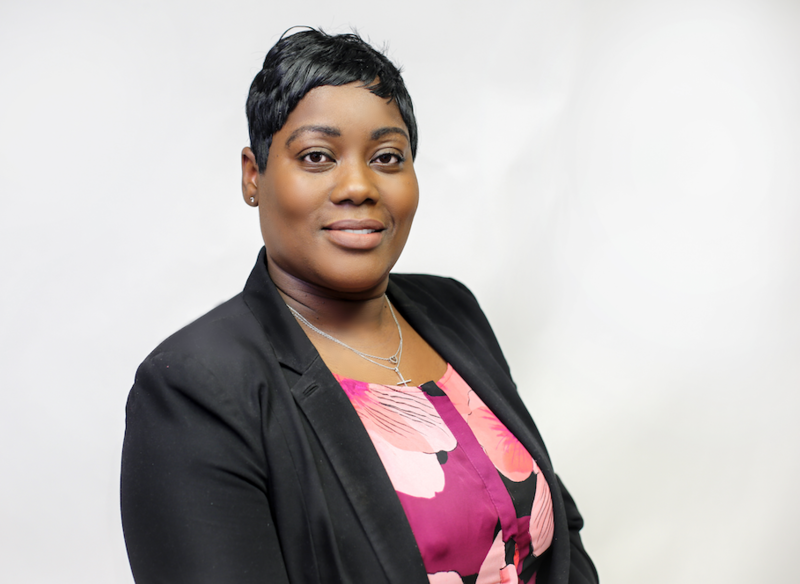 As a Committee Member and Treasurer for the tour, Scherry uses her business savvy and fundraising skills to support creatives who come to Decatur to show or create their work. 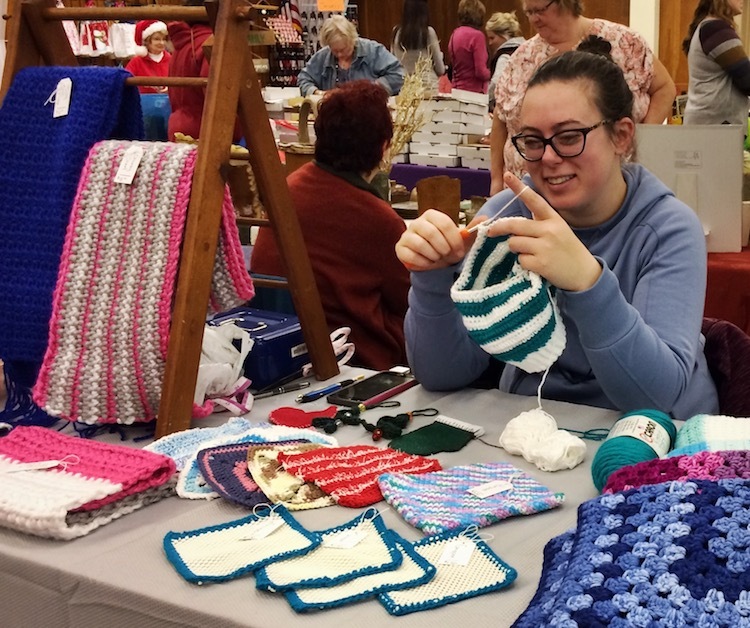 Now, she’s heading up the town’s monthly Artisan Craft Market that gives artists a way to earn a living year-round, selling their crafts between farmers market seasons from November to April. The Decatur Artisan Craft Market happens on the second Saturday of each month, setting a record in December 2018 with 61 vendors and 400 shoppers. 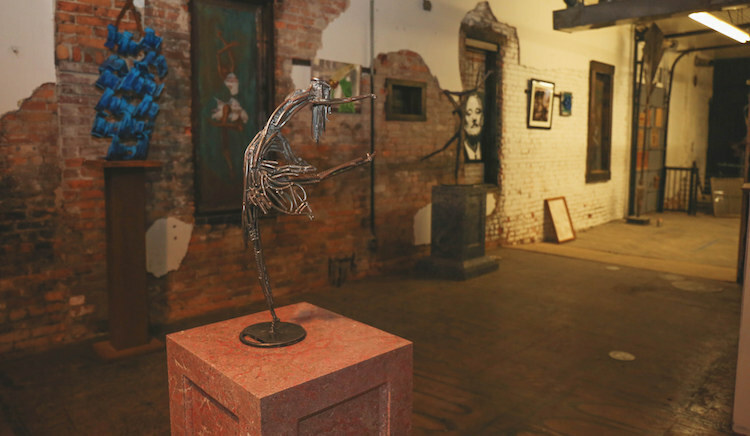 With more projects that support artists, like the recent ACE 40.8 gallery and art collective and the new 2nd Street Artist Lofts underway, Decatur is becoming a hub for creative talent in Indiana. Input Fort Wayne sat down with Scherry to learn more about her work and how the Decatur Artisan Craft Market is adding to the town’s creative appeal. 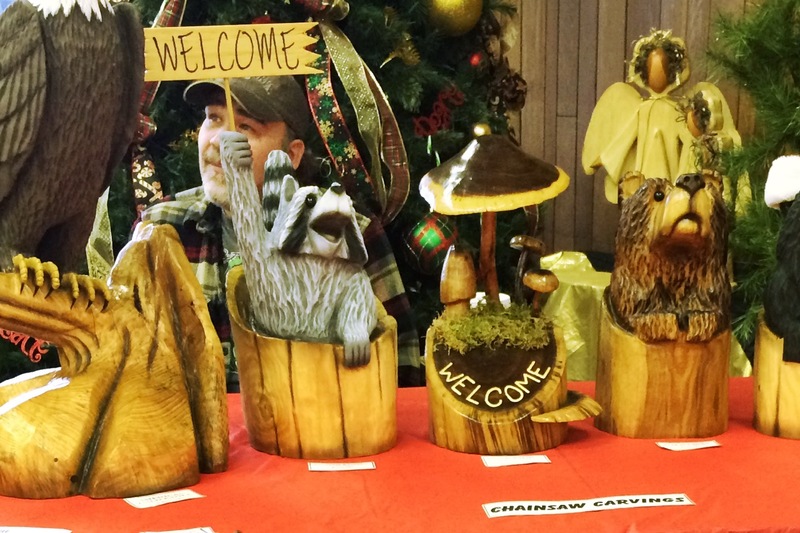 Chainsaw carvings for sale at the Decatur Artisan Craft Market. IFW: With a background in fundraising and supporting city projects, how did you get involved in the Decatur Artisan Craft Market? At that time, they had approximately 7-10 vendors on a monthly basis, and the market was held at the 4-H Fairgrounds in Monroe. I was sure that we could grow this market and make it a venue for local shopping, a place for local vendors to earn income, and a place to highlight local artistic talent. I asked Suzy Fuelling to help me and manage the Snack Bar, and we moved the monthly event to Riverside Center in Decatur and changed the name to Decatur Artisan Craft Market to better reflect what it represented. 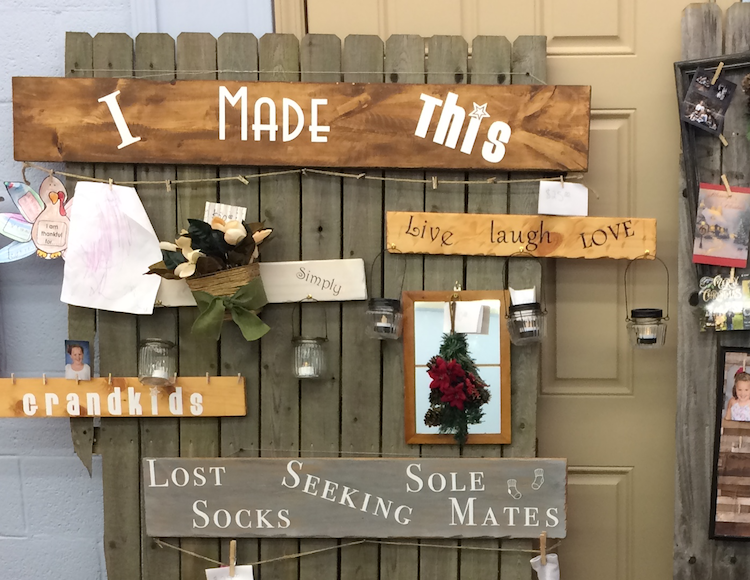 The Artisan Craft Market encourages Decatur's community to create. IFW: You renamed the market to focus on crafts, in part, because Decatur is home to a lot of artistic people. Tell us about the local creative culture. CS: Decatur has been greatly inspired by the Decatur Sculpture Tour, which began in 2012. It now attracts some very impressive sculptors from around the US. This has inspired several local artists to make this their full-time work. Also, a new art gallery (ACE 40.8) opened last year and features the work of many area artists in a number of different mediums. Several local artists have studios inside the ACE 40.8 building. The community is also becoming more excited about and taking ownership of the new 2nd Street Lofts project, which will provide artists with more workspaces and living spaces where they can collaborate. We're looking forward to the opening of the Lofts later this year. 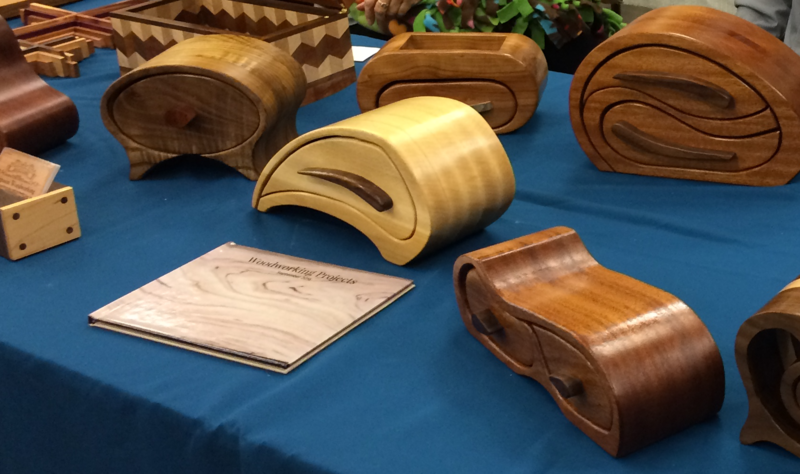 Woodworking crafts are among the products for sale at the Decatur Artisan Craft Market. IFW: It’s exciting to see all of these projects coming together to support artists in Decatur with living spaces, exposure, and outlets to sell their work. Tell us more about the collaborations that are happening. CS: In addition to being Treasurer of the Decatur Sculpture Tour Committee, I have managed its Plein Air Paint Out for the past 3 years. This past June, we held a public viewing of the completed Plein Air Contest Paintings at the 2nd Street Lofts. 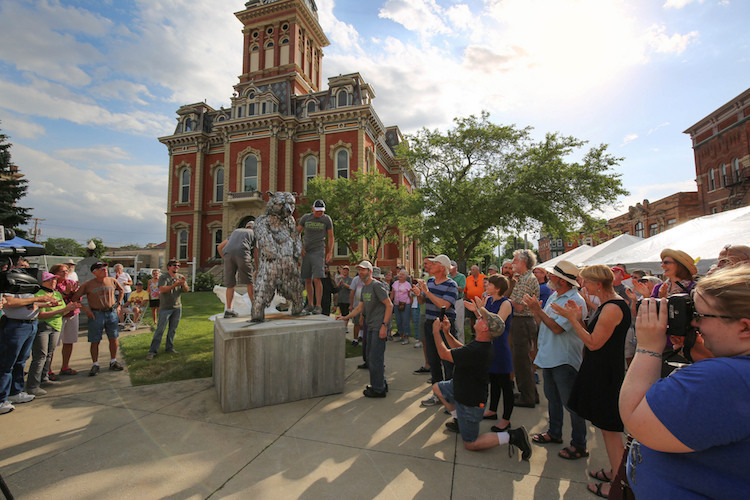 This was a great collaboration between the Decatur Sculpture Tour, the City of Decatur, and the 2nd Street Lofts. Now a representative of the 2nd Street Lofts attends each of our markets to talk with all of the crafters and artists. At the January market, we had 4 local artists displaying their paintings and pottery. We also have other artists who design and create jewelry, wood carvings, and carved and painted gourds. Inside the Artisian Collective Enterprise 40.8 in the works in downtown Decatur. IFW: What other types of crafts and items are available to purchase at the craft market? CS: There are a number of items available, including fabric crafts, jewelry, soaps, baked goods, honey, wood and metal décor, skin care, clothing & accessories, seasonal décor, cleaning supplies, paintings and prints, self-defense items, jerky, furniture, candy, books, essential oils, carved wood figures and face painting. Some of the best-selling items are gourmet cupcakes, angel food cakes, and goat’s milk soaps and skin care items. All of these items have sold out (or nearly sold out) at previous markets this season. Our artists have also had many successful sales each month. The Decatur Artisan Craft Market gives creatives a place to share their crafts. IFW: Do you have any creative pursuits yourself? CS: I don’t consider myself a creative person. I’m better at the business and organization side of things. But I like connecting creative people and helping them get looped into what’s happening here. With the growth of Decatur’s artist community, we are always looking for new talent. I often meet people coming into the art world as professionals or going to school for it. The other week, I came across one student from the University of St. Francis in Fort Wayne, so I connected her with people in our community who are doing great things in the arts already, like Greg Mendez, whose sculpture work is nationally recognized. He told her about the ACE 40.8 gallery, and I think she’s going to rent studio space from them now. 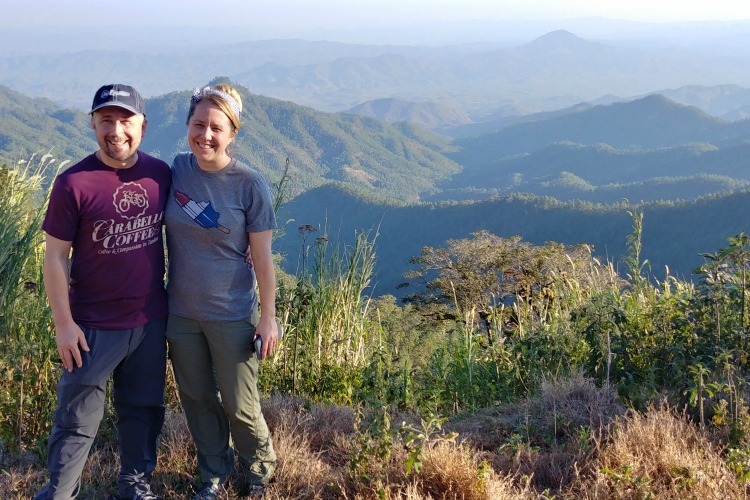 These types of connections are instrumental to keeping creativity here rather than having students go off to bigger cities. Another example is a 19-year-old girl who’s a junior at Heron School of Art in Indianapolis. She entered our Plein Air Paint Out (as her first time doing this type of painting) and took second place. This led to an Internship for her last summer at ACE 40.8 Gallery in Decatur. She has since completed several outdoor murals and commissioned paintings and has become a valuable asset in promoting art in our community. 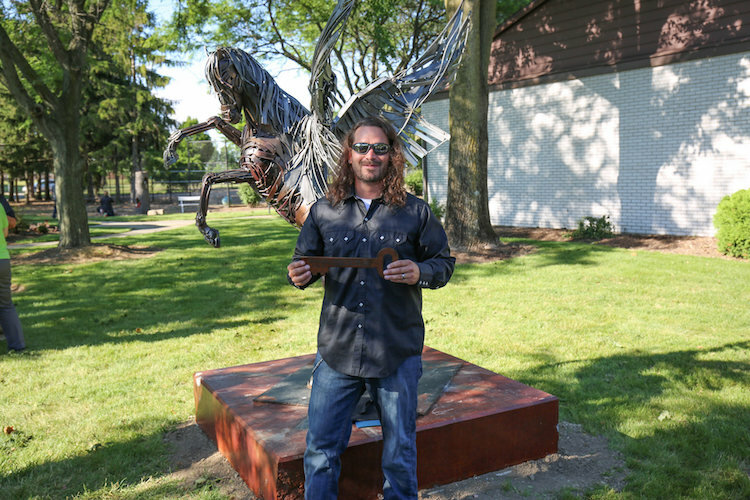 Artist Greg Mendez helped start the Decatur Sculpture Tour. He is now the art director at ACE 40.8. IFW: If someone is interested in visiting Decatur, would you tell them? CS: Decatur is a great small town with so much to offer. There are several new downtown restaurants, a new cinema, an antique store, an art gallery, several boutiques, two very nice home décor stores, the Sculpture Tour sculptures, the Madison Street Plaza, a game store, coffee shop, and a book store. Our downtown area is experiencing successful revitalization and continues to attract more people to shop local and attend concerts and festivals. One of our best community spaces is Madison Street Plaza where we have concerts downtown every Thursday night in the summer. The crowd is just amazing. The whole block is totally packed with people. We really are a must-see gem of Northeast Indiana. The Decatur Artisan Craft Market is 9 a.m. to 1 p.m. on the second Saturday of every month November-April at Riverside Center, 231 E. Monroe St., in Decatur. It is the winter counterpart of the Decatur Farmers Market, which happens in warmer months. This year’s remaining dates are Feb. 9th, March 9th, and April 13th. Read more articles by Kara Hackett. Kara is a Fort Wayne native, passionate about her hometown and its ongoing revival. As Managing Editor of Input Fort Wayne, she enjoys writing about interesting people and ideas in northeast Indiana. Follow her on Twitter and Instagram @karahackett.